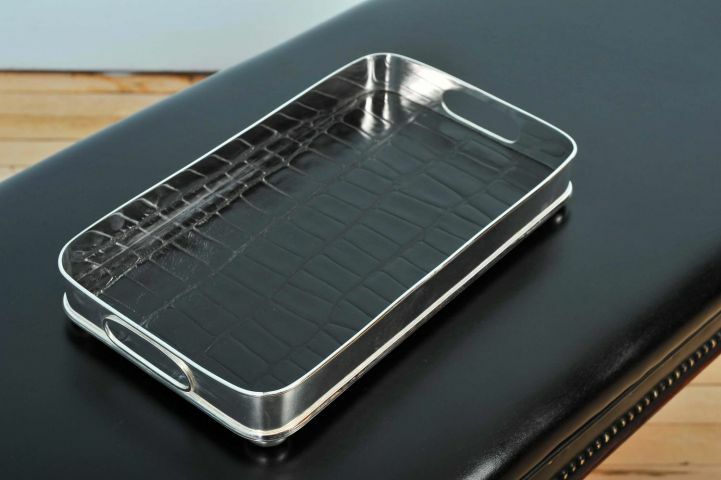 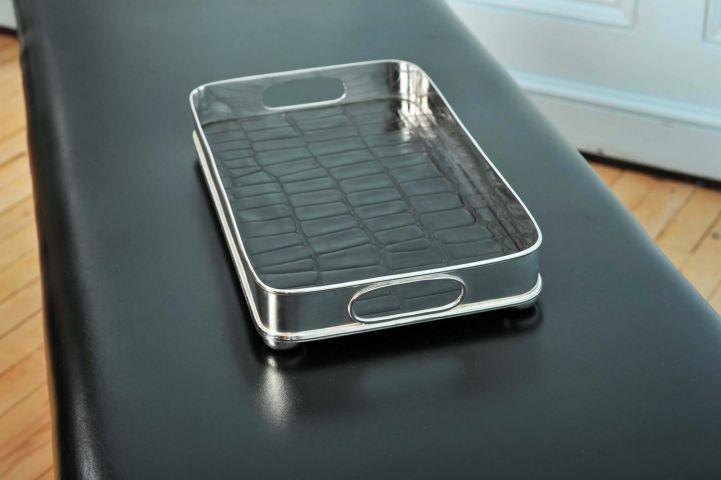 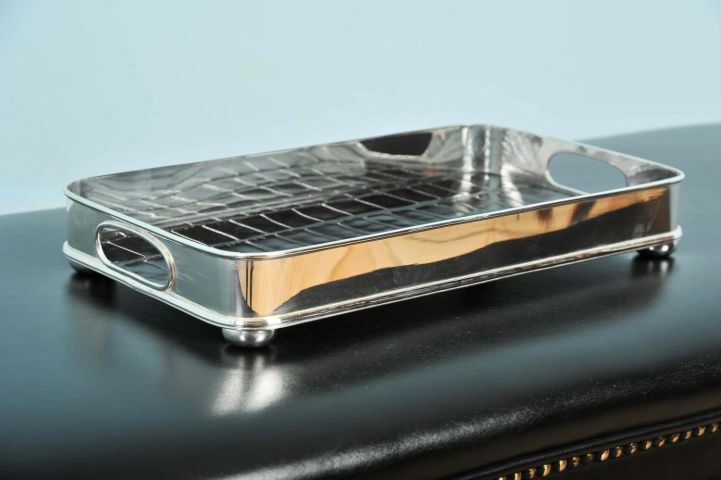 These very attractive nickel-plated serving trays have cut-out handles on both side and are finished with a black faux crocodile lining on the bottom. 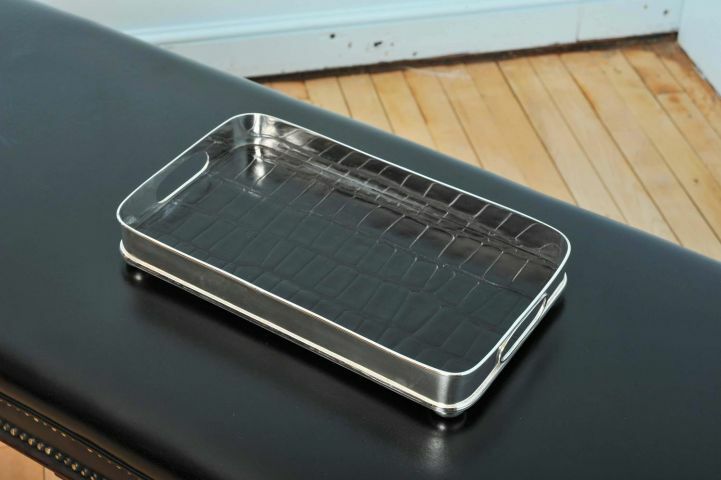 Each tray measures 14 � in � 36.2 cm wide, 8 in � 20.3 cm deep and 2 � in � 5.6 cm high. 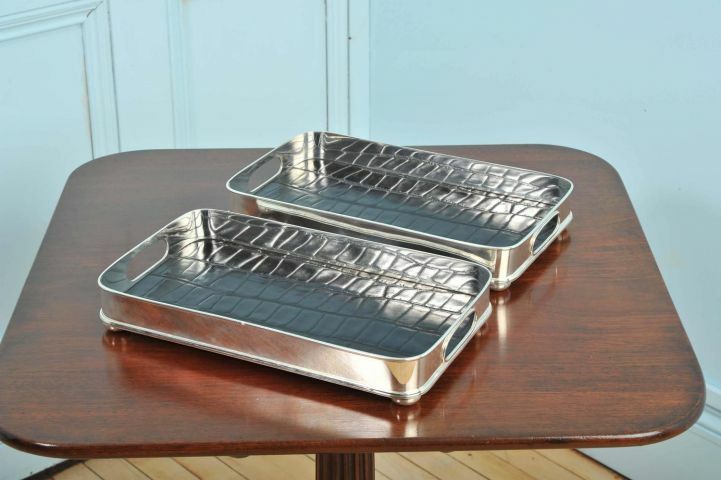 These trays are available individually, as well as in more multiple groups, please email us for more information.